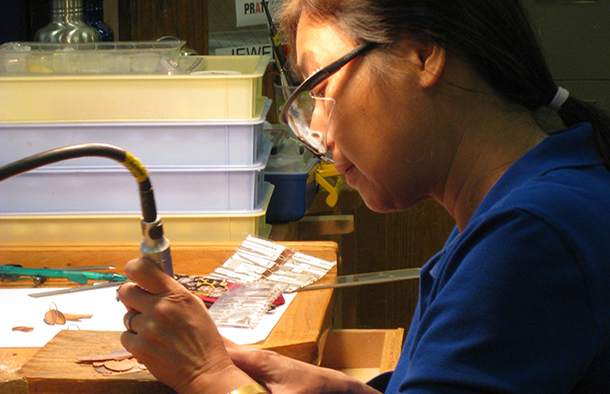 Whether you want to learn to make a ring, work with enamels, set stones, or carve wax, Pratt’s Jewelry & Metals studio has something to offer everyone. With our professional equipment and accomplished instructors, you can experiment with traditional and contemporary mediums and create unique wearable and sculptural works of art with any level of experience. Students 16 and up can register for adult classes with advance permission. Please email info@pratt.org.